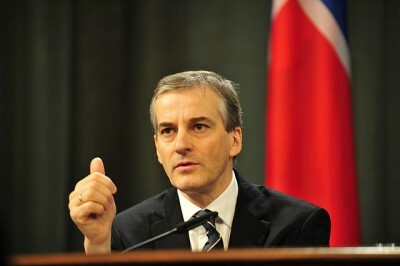 Norwegian Foreign Minister Jonas Gahr Støre has admitted to Norway’s national commercial television channel TV2 that he’s had direct contact with the leader of the Palestinian group Hamas, even though Norway officially only has contact with Hamas at a bureaucratic level. Hamas leader Khaled Mishaal had confirmed to TV2 that he has had several phone conversations with Støre. Hamas has won voter support among the Palestinians, not least for its social welfare work among the poor, but is also an Islamic and paramilitary organization that has refused to recognize Israel’s right to exist, and took control of Gaza by force. The US, the EU and Israel consider Hamas to be a terrorist organization. Diplomatic relations with Hamas are therefore highly sensitive, and Støre earlier has stressed that Norway — long involved in efforts to broker peace in the Middle East — has never officially recognized Hamas or established ties with the movement at a political level. Now, however, he says he had three conversations with Mishaal in 2007, when the Palestinians were negotiating amongst themselves to set up a government platform. Støre said his contact with Mishaal at the time came at the request of Palestinian President Mahmoud Abbas. “My main assignment was to forward the international view, that Hamas must recognize Israel, have respect for agreements and distance itself from violence,” Støre told TV2 while in Davos, where Støre is attending the World Economic Forum. Støre said he never “oriented” the Norwegian Parliament about the contact “because sometimes such conversations have a value because they are not public.” Støre said he has had no further political contact with Hamas during the past four years, since May 2007. “Since Hamas took power in Gaza through use of violence, we’ve only had contact at the bureaucratic level,” Støre said, stressing that Norway’s Parliament has been kept informed of such contact. Asked by TV2 whether his conversations four years ago with Hamas’ leader may harm relations with the US, the EU and Israel, Støre said “I hope not. There’s nothing new in what’s coming forth now, that we had contact around the time of talks for formation of a new Palestinian government.” Støre has always promoted dialogue with all parties over any issues involving conflict. Israel’s ambassador to Norway, Michael Eligal, responded in a press release, however, that all contact with Hamas must be banned as long as Hamas refuses to recognize Israel’s right to exist, refuses to accept agreements and continues to use violence “and terror” against civilian Israelis. He claimed any contact with Hamas, also at the bureaucratic level, undermined a dual-state solution and weakened Palestinian authorities.